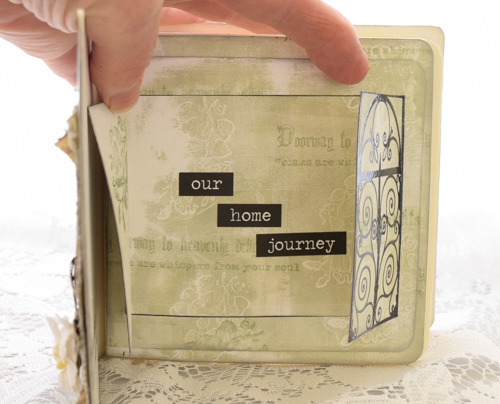 Hi everyone Jennie here with you tonight sharing a small mini book with the theme of Our Home Journey using the timeless Urban Snapshots stamps. I recently bought a Sissix die for making small books and plan to make a few the same size but with different themes. So this first one is Our Home Journey and will record where my husband and I lived as children and then over the 40 years we have been married. 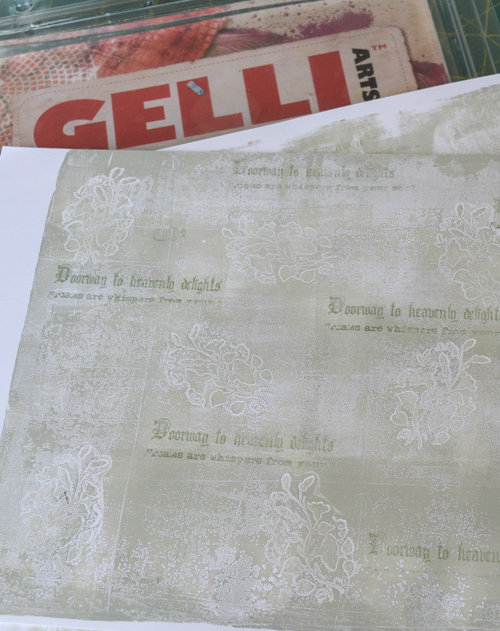 I have used my Gelli Plate for the first time (well after a little practice!) to make the covers and the start of the inside of the book. Step One: I started by making the papers for my covers using the Gelli Plate. I have only recently purchased this and have only really done a few 4x4 experiments so it was a bit daunting doing a piece of A4! I brayered Sage and Snowflake Fresco Acrylic Paints onto the plate and used the flourish from the Urban Snapshots Young Love Plate 1 as a random pattern. Once I had taken off my print I then overstamped with the quote from the Wrought Iron 2 Plate. Step Two: My book covers were cut from coaster board and the insides got a coat of Snowflake Paint and again I used the two stamps as before to create a bit of interest on the inside covers. 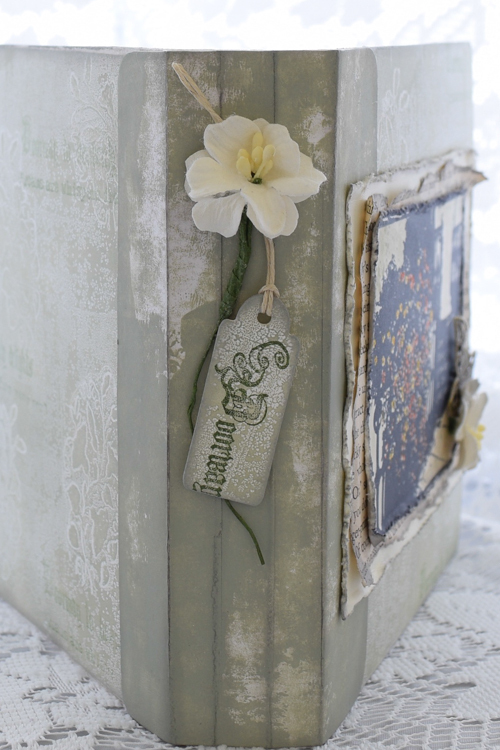 Step Three: I used my papers to cover the outside of the book and for the spine I brayered Sage and Snowflake Paints onto some Smoothy White Cardstock (mainly because I didn't have enough of the patterned paper!). Before I stuck the spine down I passed some seam binding ribbon through the holes to enable me to gather my signatures. Step Four: For the front cover I used the Young Love Plate as my central focus and used Pumpkin Soup and Autumn Fire Translucent Frescos to colour the flowers. There's a little bit of Sage in there too. 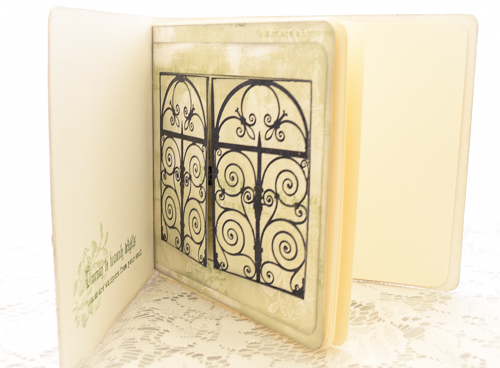 Step Five: For the first page inside the book I used some leftover scraps from my papers to cover the page and I stamped the Wrought Iron Gates to create a doorway. 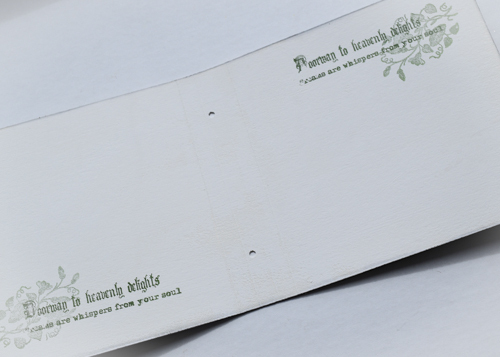 Step 6: I finished off the spine by cutting a small label from some left over paper and using the Doorway quote so I have a reference for the book when it is sitting on a shelf. And so my little book is ready to fill with photographs and details as I find them whilst trawling through the photograph albums. 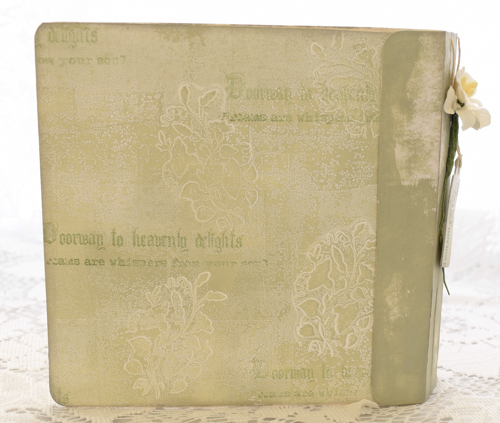 I really enjoyed making this project and am particularly pleased with the effects created by using the Gelli Plate and the Fresco Finish Paints. I am sure it will be out again soon! 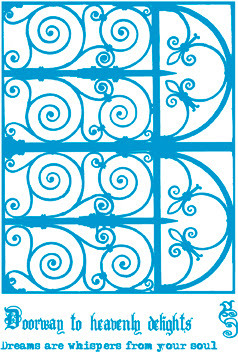 I also hope my little project encourages you to use these wonderful Urban Snapshot stamp sets. love the soft, subtle colour! the book is so cute, I love it! 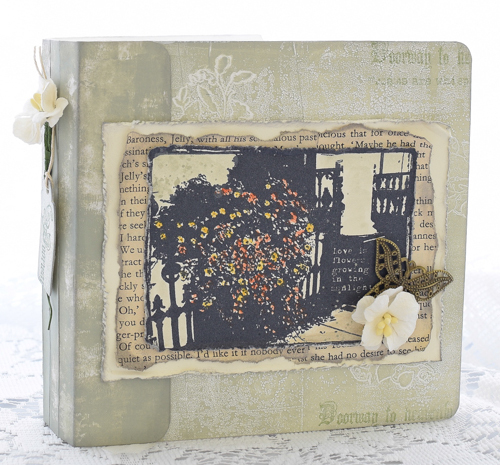 How lovely, Jennie - so delicate in hue and such a beautiful way to use the stamps. Looks lovely and what a fantastic keepsake for you and your hubby ! A great idea, and such a lovely book! This is so lovely Jennie, beautiful soft colours and a great design! Looks like we all adore the colours Jennie as I do too. They are actually my favourites even though I rarely seem to work with them. Beautifully crafted little book!